HoloLens developers have created some useful solutions for visualizing building models and viewing construction plans overlaid on the job environment. Instead of investing in new (and, at this point, relatively expensive) hardware, Danish software company Dalux is proposing that construction firms take advantage of the devices that their workforce already has in their pockets. With Dalux Viewer app for iOS, workers can see 3D digital drawings superimposed on the jobsite through their iPhone. Dalux recently expanded availability by releasing a version of the app for or Android. The app can handle most file formats used for construction drawings and building models across the industry. 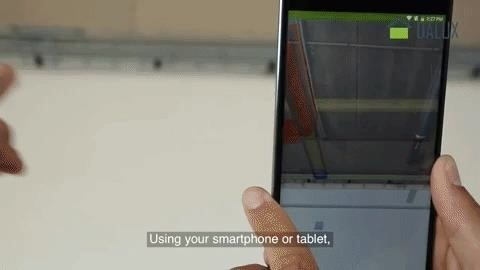 By leveraging mobile devices rather than dedicated hardware, Dalux believes they can accelerate adoption of augmented reality in the construction industry. "Now, at most large construction projects, a digital BIM (building information management) model is always created. We can access these drawings through mobile devices, based on the construction worker's location, and show it as AR. The fact that the technology can be used on mobile devices makes the adoption in the construction industry much faster, since everybody has a smartphone or tablet these days, and HoloLens is much more expensive, meaning that not all workers have access to the AR drawings," said Dalux co-founder Bent Dalgaard. HVAC contractor Airteam tested Dalux over the past few months as part of an installation at Viborg Hospital. "It's revolutionary how the technology knows where you are and what you are looking at. We save time and money, and contractors can benefit hugely in terms of quality assurance and assembly. Navigating all the many paper drawings in the construction industry can be extremely complicated. With AR, we don't have to think so much, just look," said Kasper Haack, BIM Specialist at Airteam.